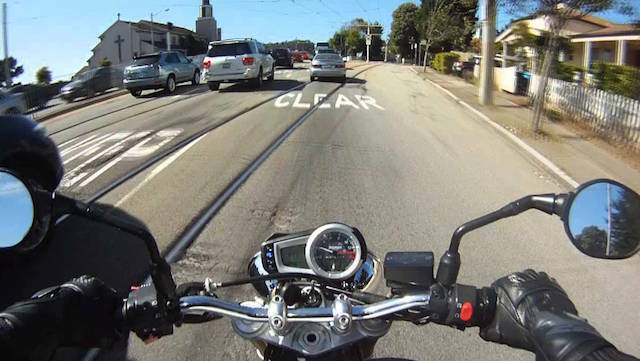 There’s been a huge increase in the number of motorcycle riders and cyclists wearing helmet-mounted cameras, like the GoPro. While it’s made for some compelling YouTube footage and Facebook posts, these cameras are more than toys. Why should you mount one of these on your helmet immediately? Imagine you’re in a crash, and you’re in the right. However, when the police show up, it ends up being your word against theirs. They say you did this, you know they cut you off, but nobody knows for sure. If you’re wearing a helmet camera, you can simply whip out the footage, and you have a perfect record of exactly what happened. The camera doesn’t lie, and it backs up your story completely. If you’re injured in a motorcycle accident, a lot of your case is going to come down to proving who is or is not at fault. Statements like “He pulled out in front of me” or “Nobody saw them coming” are kind of subjective. If you’re able to show clearly, in living color, that a car darted in front of you while you were following the law — your case is as close to airtight as it gets. Sometimes, no matter who is at fault, tempers run a little hot. Assault is assault, regardless of anything else. If someone puts hands on you in an aggressive manner, your helmet cam is still running. Things like this need to be recorded, and can prove your case should it come up. In some cases, even the mere sight of a helmet cam, can deter incidents of road rage — since they know you’re recording. When arguing an injury case, there can often be some value to the “oh my word” factor. When you can show a jury or anyone else the “insane footage” of your crash, this can work in your favor. It can show that this was not some simple “fender bender” or minor crash. This was a catastrophic injury caused by a horrific crash. This is not a game you’re playing, it’s showing the reality of your accident. Should the other party question the validity of your injuries — show them the tape. Notice in that footage how the instrument display on the motorcycle is clearly visible. When the speed and other information is in the frame, you can often protect yourself from some accusations of negligence like “They were speeding.” Certain models of camera will also record this in the video, keeping it in the corner of the screen. Being able to show your speedometer in the footage of your crash is a massive advantage. If you or a loved one has been injured in a motorcycle or bicycle accident that was someone else’s fault, you have rights. Use our form below to schedule your free consultation and speak with one of our attorneys about your case.